Fans of the Hitman games were elated earlier this month when it was announced that a new Hitman game would be released this fall. Actually, Hitman 2 features new scenarios like a Miami race track, where a glamorous motorsports race is going on. 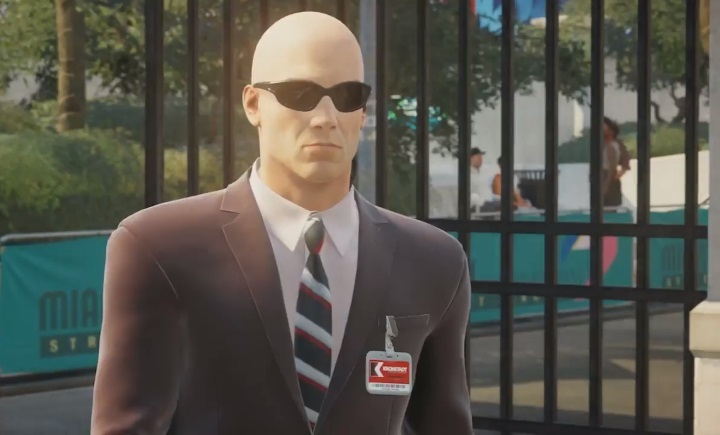 As seen in the E3 trailer below, protagonist Agent 47 will have to dispose of two assassination targets using a variety of methods. Aside from the standard ways to kill your targets, there will be unique kill methods here like sabotaging the victim’s race car or shooting at it with a sniper rifle in order to cause an unfortunate accident during the race. So far so good then, but this is nothing we haven’t seen in 2016’s Hitman, even if it appears Danish developer IO Interactive is adding new gameplay ideas to the mix, such as being able to knock out people by throwing objects at them, and even using items such as fish as weapons (which could lead to some genuinely funny in-game moments too). Hitman 2, then, looks like it could be one of the game’s top video game releases, especially if IO is able to deliver the same great gameplay seen in Hitman’s 2016 reboot. This is a game fans will be looking forward to come November then, and it would be a great thing for those who have been following Agent 47’s adventures to date if this turns out to be another stellar entry in the franchise too.